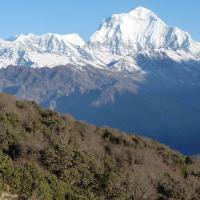 Chitlang VDC is located in ancient Newar settlement. Inscriptions dating back to Lichchavi era have been found in this place. In Chitlang there are different cultures: in ward no 1 there is Tamang culture in ward no. 2 Khas, in ward nos 3, 4, 5, 6 and 10 there is the Newari culture; ward nos. 8, 7 and 9 has a mixed culture. 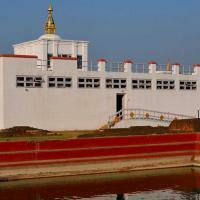 There are many visiting places like "Majhagau" specially newari people and culture, Swachhand Vairavr Temple and Satdhaea, and soon Argenacik resort. Day 1 Arrive Kathmandu, transfer to the hotel. Day 2 Drive Kathmandu to Chitlang. Day 3 Rest & exploration day at Chitlang. 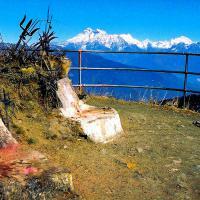 Day 4 Trek Chitlang to Markhu. Day 5 Trek Markhu to Purandi. Day 6 Trek Purandi to Kaphleni. Day 7 Trek Kapleni to Pharping & drive to Kathmandu or other destination. 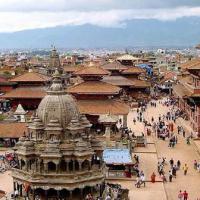 This tour has an expedition character which requires a great sense of adventure. You only have to carry a daypack on the trek which should contain a warm jacket and rain coat since weather can change quickly in the mountains. You will need walking poles and a torch since most of the time while we camp we will have no electricity. On the trek we prepare the meals ourselves. Our porters and assistant will buy food along the way and carry it for us. For lunch we will cook with a small gas stove or whenever possible use facilities in the villages. In some places you will get the opportunity for a shower. Otherwise we can also heat up a bucket of water for some rough washing. Be prepared to improvise and lack of comfort. This will be a real adventure! This village is surrounded by beautiful green forest, which consists of more than 160 spices of birds and the major attraction and animal. The large green fields are added attraction of Chitlang. There is big peach garden with more than thousand peach trees.